It's BlogPaws 2014 conference time! Pre- conference activities start this evening with a "Dessert on the Terrace" sponsored by Bissell, and full conference sessions and activities start tomorrow afternoon. Parental Unit will be rolling into Lake Las Vegas early tomorrow to start her weekend of learning and fun! 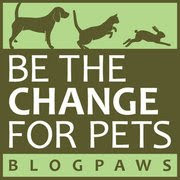 But in the meantime, there's the BlogPaws Wordless Wednesday Pet Blogger Hop to join! Have a safe trip mum. Have a wonderful Wednesday. Hope your Mom has a great time. Happy Wordless Wednesday. 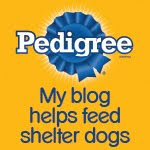 Hope your mom had a pawesome time @BlogPaws!